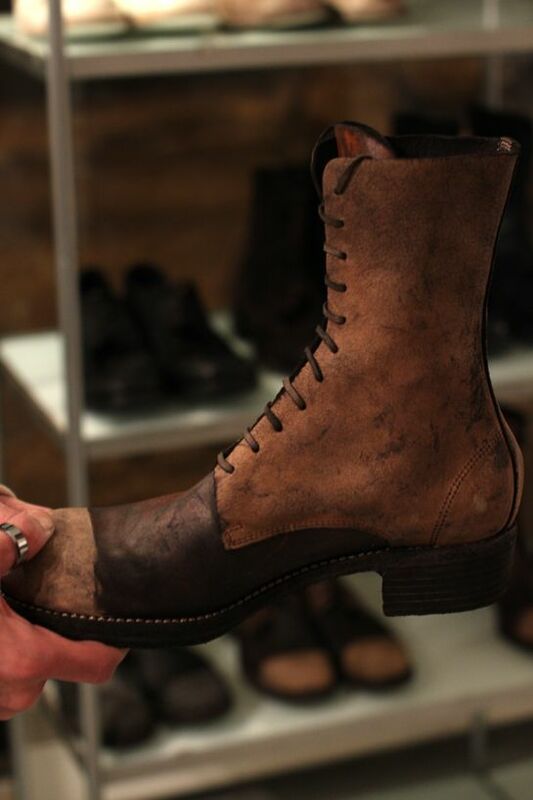 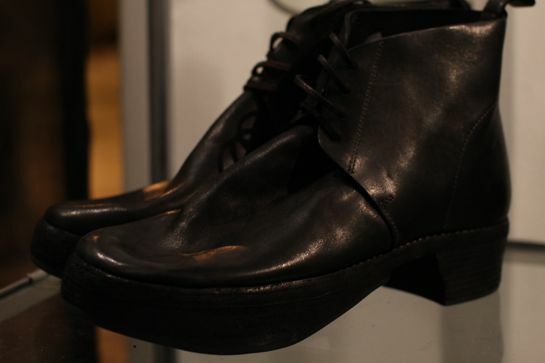 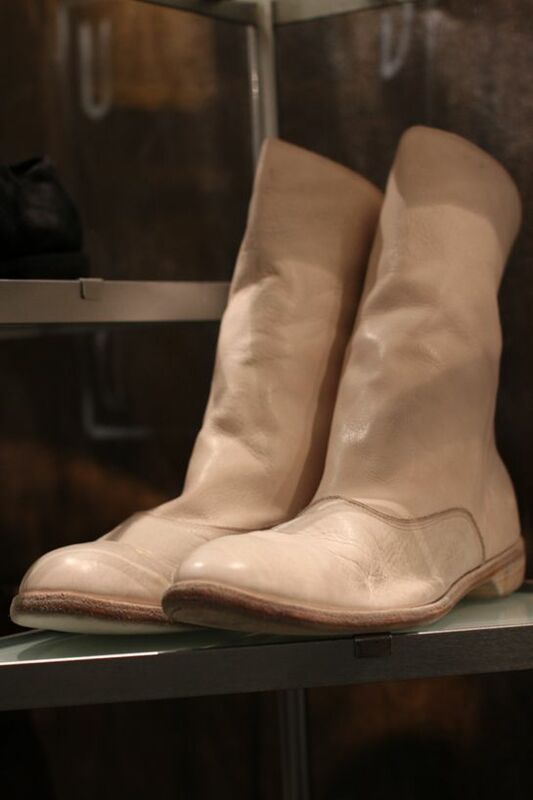 In the showroom: Guidi men’s F/W 13/14 – Flux. 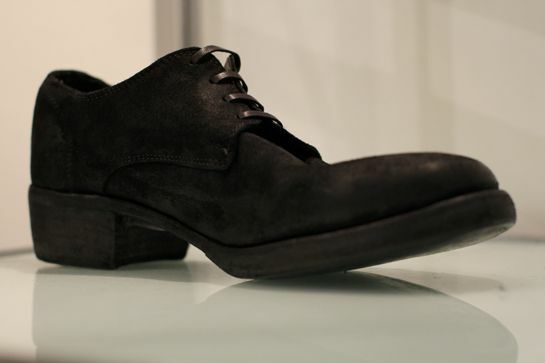 I know that spring has just arrived but let’s go back a few months, and more specifically to men’s fashion week in Paris. 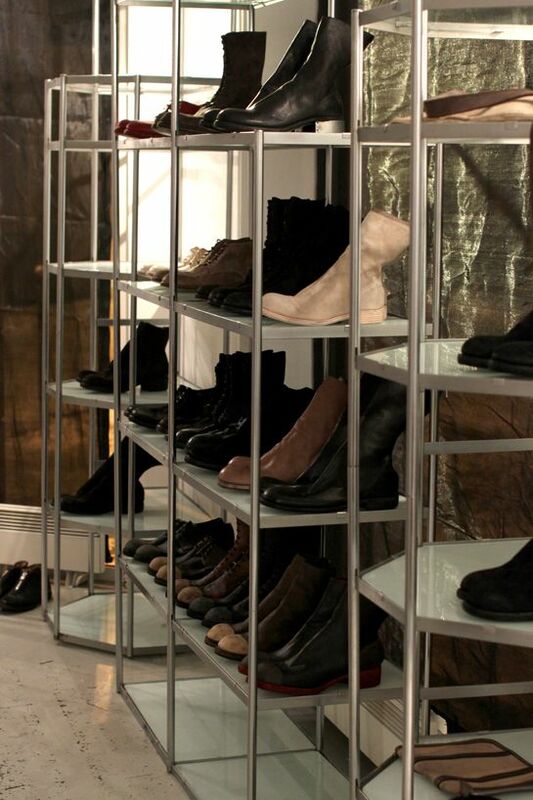 I had the chance to take a peek at leather manufacturer Guidi‘s showroom and view what they have in store for Fall/Winter 13/14. 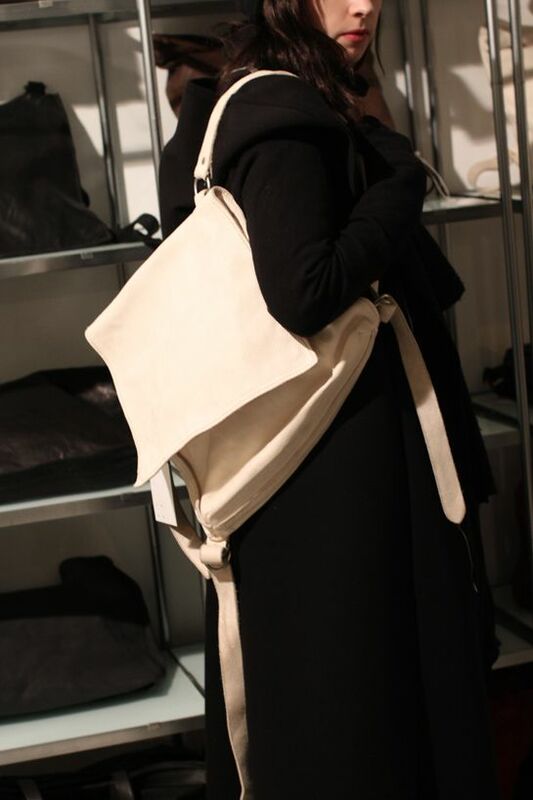 It was fascinating hearing about different leathers that they use, and more over about the story of how each shoe and bag is made using traditional manufacturing and tanning processes. 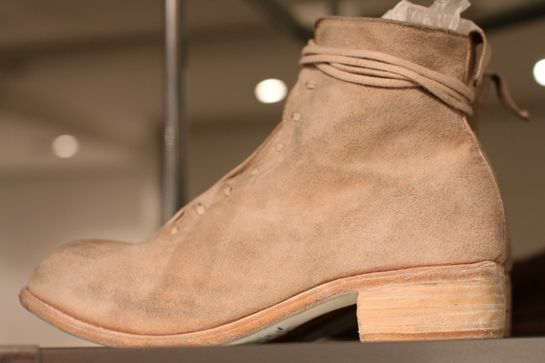 On top of the classic reproductions of the back zip boots, this season Guidi introduced a metal reinforced heel on the derby model, and a shoe which we were told to derive from traditional Japanese working shoes (see picture three). 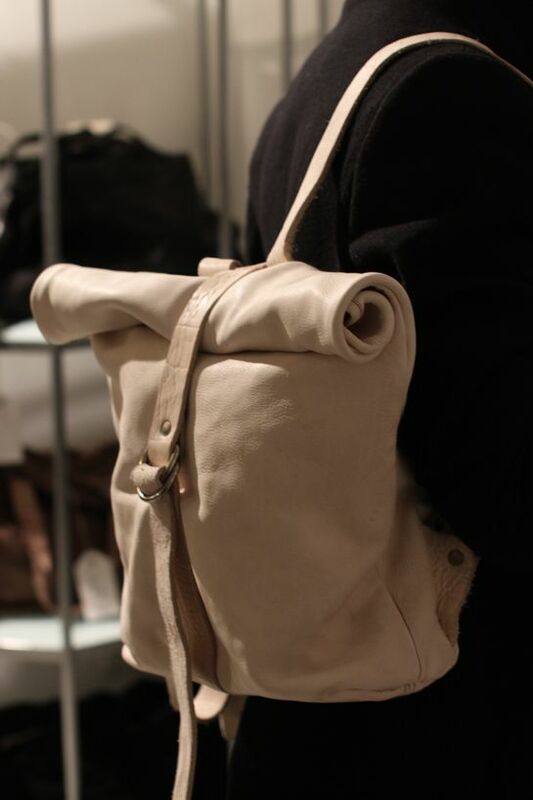 On the bag front, the backpacks were the ones that caught my attention, especially in the beautiful white leather. 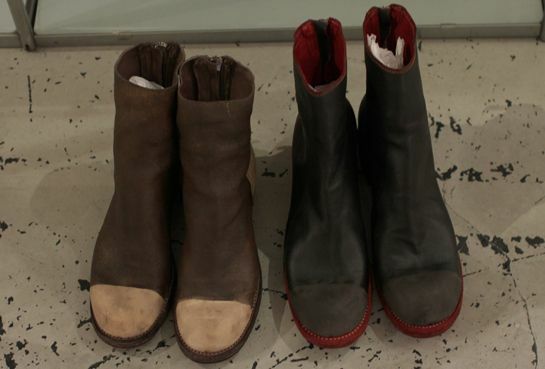 The color scheme of the collection was a combination of very natural earthy colors and deep red, some models even had a mixture of two tones with colored tow boxes and heels – definitely an interesting new direction from Guidi. 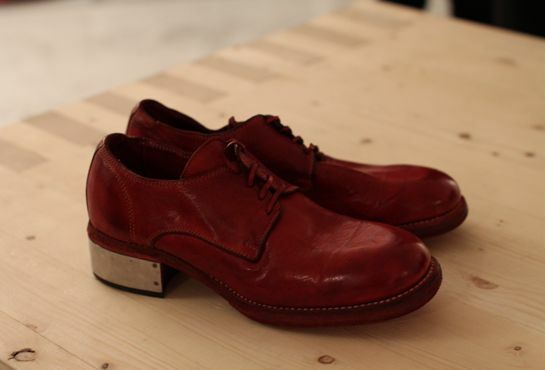 Next Post Flux. 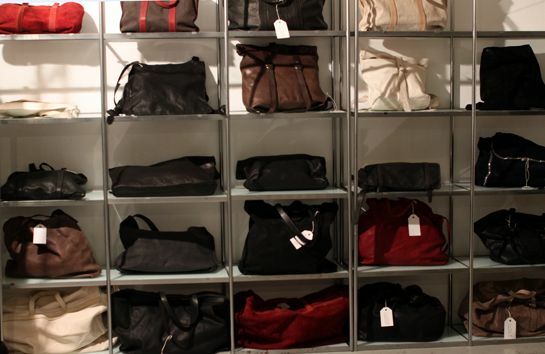 sales are back!